Interested in a Free in home Cancelation with us? Belanich Builders, Remodeling & Home Services is localy owned and operated in Seattle, WA. Serving the Seattle area and started doing work for others in 2007. We’ve treated every job like it was are own house. Other companies may offer similar lip services, but our services come with a personal touch and with lot's of pride! I grew up spending a lot of time at my grandfather’s cabinet shop and my best friends whose father owned apartment buildings and built houses. 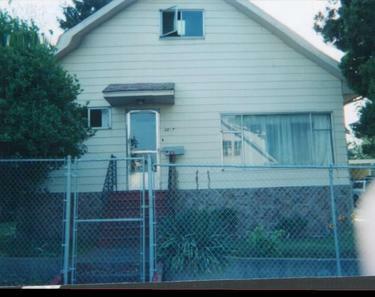 In the eighties I bought my first house at 20 yrs. old. Over the years I have bought and sold houses and apartments after doing repairs and remodeling to them and helping other with their projects. In between these years I owned and operated a Round table pizza restaurant. Maintaining, remodeling and updating it for almost 20yrs. My passion is designing for better flow and use of space with better eye appeal and added value to the home. Then I implement it, doing most all the work threw out the project myself with the ability to work around and through the unknown that come up in a lot of remodels once the project is under way. Honestly, reliable, and with pride. House After the Remodel !